Second winter share pick-up – January 10th. 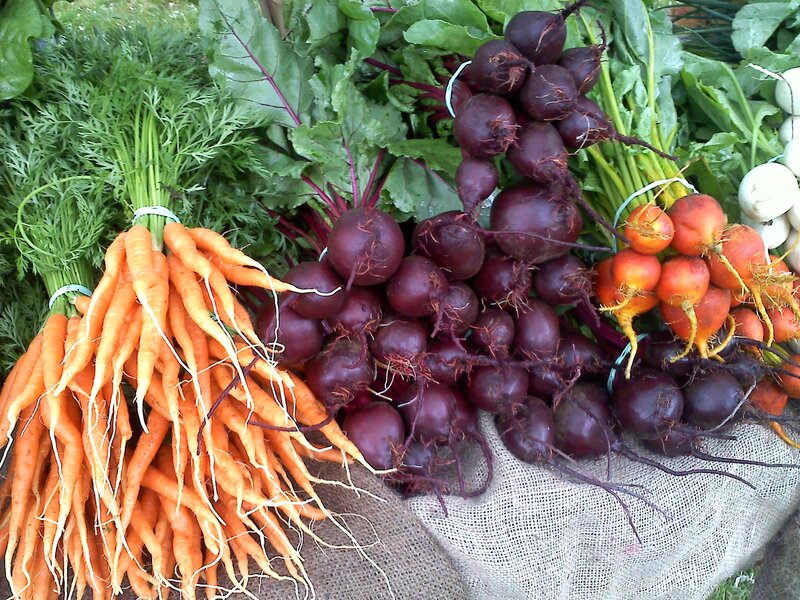 Our first winter share last month was the start of a great variety of winter produce and the second is no exception! Lots of color too! Apple (1 bag) and Apple Cider (1 bottle) shares for those who ordered them. We’re hoping to hear soon from Golden Earthworm regarding the 2019 full season. We will let you all know as soon as the information comes in. If all volunteer slots for February and March are full, we will able to use volunteers for our annual Meet the Farmer event on Sunday, March 24th. This will include a special documentary screening. Details to follow in the next few weeks. Carrots – A perfectly sweet, crunchy, orange variety. The kind that make you never want to eat any other type of carrot ever again. Red Beets – I love beets every way – boiled (or roasted) and sliced as a side dish, grated raw in a salad with lemon juice and olive oil, juiced or sliced in salads. Golden Beets – Lovely beet flavor with a rich, golden color! Yellow Potatoes – These are a waxy variety – perfect for roasting. My trick to roasting potatoes is to roast with a top on the baking dish. Foil works well too. The point is to steam the potatoes. Once tender, remove the top and continue roasting for another 10-15 minutes until nicely browned. Rutabaga – Also known as a Swede or a yellow turnip, rutabagas have a sweet, earthy flavor that is excellent roasted. These roast quickly when cut into slices or fries, tossed in olive oil and salt and roasted on a cookie sheet in a hot oven. Watermelon Radish – My favorite saying about these radishes….Boring on the outside, party on the inside! Try roasting them if you haven’t already. They are excellent! Sweet Potatoes – A staple in our house. I bake them whenever my oven is on and then they’re ready to go! Leeks – A perfect base for soups or let them be the star of the show! Next Flushing CSA (February 7) Update!